On Thursday 26th June, 15 pupils from Nairn visited Spey Valley Golf Club to watch the Challenge Tour Golfers plying their trade. 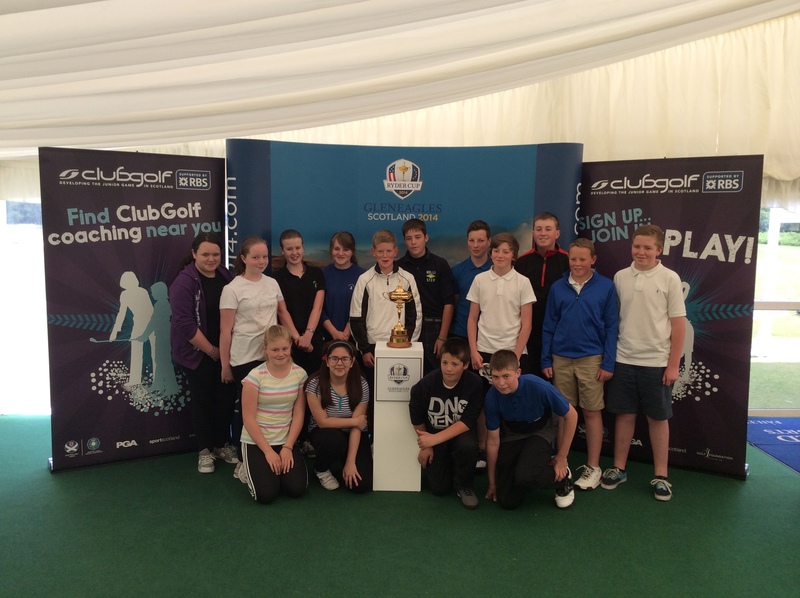 Pupil also had a chance to practice some chipping and putting, have a photo taken with the Ryder Cup and heard a short presentation from two current professionals. All pupils had a wonderful time at the course and our thanks should go to the ClubGolf Team and everyone at Spey Valley for putting on the event. 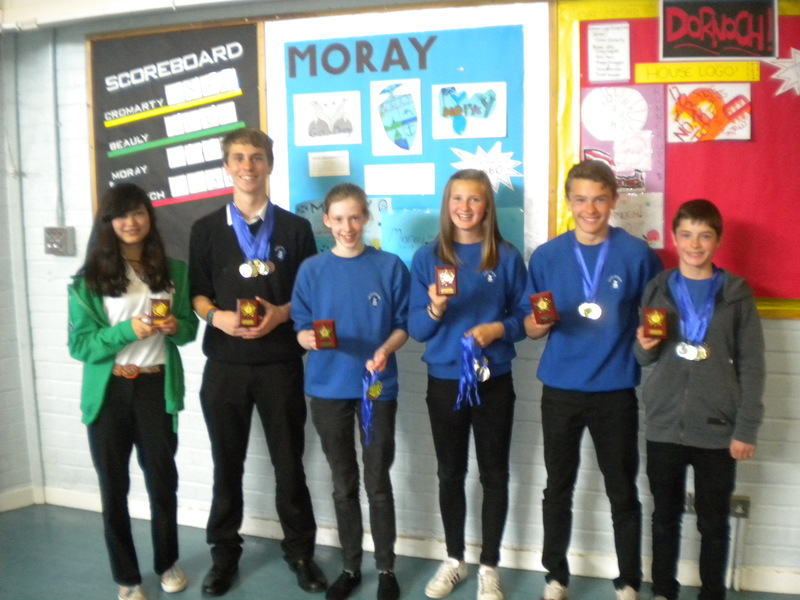 Good luck to all the competitors representing Nairn Academy at todays Championships at Bught Park, Inverness. We have sent a very strong squad to represent our school, lets hope they can return with some medal success!! Congratulations to everyone who took part in the recent sports day. All competitors gave their full effort and the level of sportsmanship on display was exceptional. We also had some fantastic results with quite a few school records being broken. 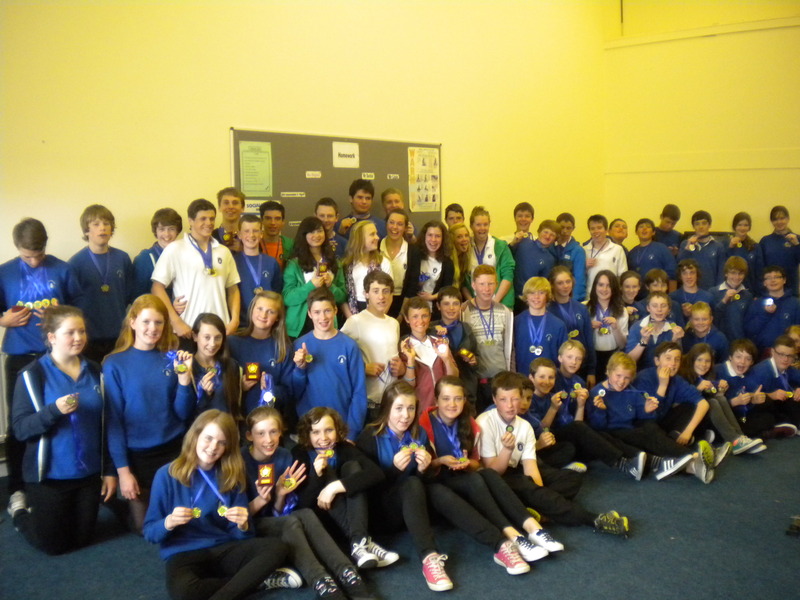 Here are some pictures of the Sports Champions and all medal winners. It is the time of year again where we have our annual Sports Day competitions and House Activities. This year they will be held on Thursday 30th and Friday 31st. All entries for the Athletic events must be in by the end of the day on Friday 24th. Make sure to enter the events you have enjoyed participating in during class time. During the House Activities Afternoon you will move around various events with your register class, gaining points for your house and hopefully winning the house trophy. As we approach the exam period the PE Department obviously expect a lot of revision work from our classes. There is a wealth of information from our courses available on the headers on this page. If any of you wish to complete past papers and would like them marked then please feel free to download them from the SQA website and hand them into us. Please note that throughout the prelim exam period, all indoor sports clubs will be cancelled. This includes after school clubs, with the exception of the Gymnastics Club which will take place in the canteen area. Everything will resume as of the 22nd January. There is cause for celebration in the PE Department, Mrs Dingwall had a birthday yesterday and today Mr Lisle has a ‘BIG’ birthday (without giving the age away!). Happy Birthday to each of you from everyone in the PE Department, hope you enjoy it this weekend!! !